Family vacations are wonderful times to be together. The everyday routine is put on hold and the family gets together for one week to create memories that will l last a lifetime. Getting ready to leave town or leave the county takes planning, time and effort but it is all worth it when you get to your destination. Traveling with children under 10 can turn a vacation into a trip for some parents. Here are 4 tips to make sure your vacation stays a vacation. For smaller children having to sit for an extended period of time is difficult. Usually full of energy going from one room to another and one activity to another is not possible on an airplane. Make sure you prepare for the plane ride by packing a bag full of activities your kids can during the plane ride. Make a trip to your local Dollar Store or Target for small games, coloring books, or an I Spy book or two. A new game for their Nintendo DS can bring hours of entertainment and you a lot of peace. Make the activities a surprise. If you are traveling with more than one child, bring a few small prizes for their efforts. Encouraging good behavior and participation when they least expect is a bonus. If your destination takes you more than 2 hours to arrive at, make sure and communicate with the kids that you will be taking a walk up and down the plane’s isle with them every once in a while. This is a good time for them to see the airplane, say hi to those on the isle, use the restroom and stretch their legs and curiosity. It’s also good for mom and dad to stretch too! Healthy snacks are always important for children and even more important on an airplane. Too much sugar can raise their energy levels, which in a confined environment, is not good for them, you or the other passengers on the plane. The airlines do not provide enough sustenance for most small kids so make sure you come prepared with snacks of your own. This will ensure your kids don’t let you know they are hungry. Good healthy snacking choices could include bagels and cream cheese (shmear the cream cheese on the bagel, press the halves together and cut. Use foil wrap to ensure it stays fresh and does not come apart), pretzels, granola bars, fruit cups (remember the spoon) and gold fish or Cheez-It crackers. Don’t forget the wipes or napkins. If your flight is a long one, there is no reason why you can’t impose a ‘quiet time’ in the air. Letting the kids know up front what the schedule will be will help them prepare for the fact that they are going to rest and relax for a time before the flight lands. Encourage the kids to pack one favorite stuffed animal for the flight. His can be their napping buddy. It can also be used as a small pillow. As a parent, traveling with small kids takes quite a bit of your energy as well. 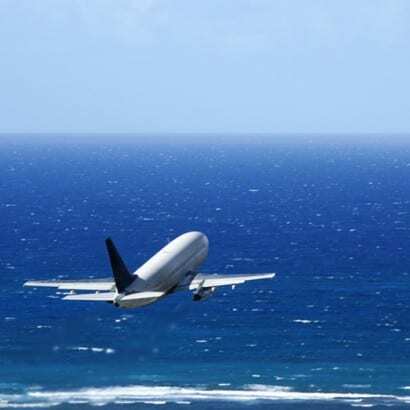 This will give you the break you need to get and prepare to deplane, gather the kids and the luggage and get to the hotel without being completely exhausted.